This is a direct result of public pressure and a great example of how our government and elected officials can and should listen to the will of the people! Great news! 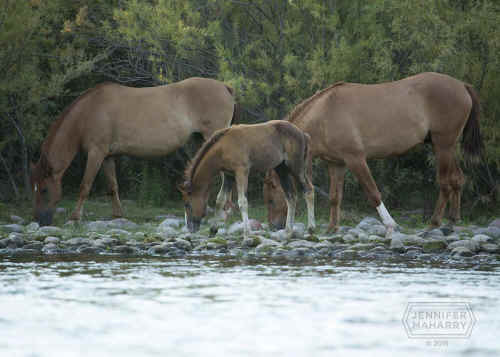 This morning, the U.S. Forest Service announced that it has withdrawn its notice to round up and impound the wonderful Salt River wild horses who live in the Tonto National Forest near Phoenix, Arizona. This is a direct result of public pressure and a great example of how our government and elected officials can and should listen to the will of the people! Since August, we have worked with our coalition partner the Salt River Wild Horse Management Group (SRWHMG) toward the cancellation of the impound notice in order to allow time to negotiate an agreement for the long-term protection of the horses on Salt River. Just last week, U.S. Congressman Matt Salmon and seven of his House colleagues sent a letter to the U.S. Secretary of Agriculture, who oversees the Forest Service, asking the agency to listen to public, which wants these horses preserved. Previously, Senators John McCain and Jeff Flake and Governor Doug Ducey expressed their strong support on behalf of their constituents for protection of these horses. Huge congratulations go to the SRWHMG and its president Simone Netherlands for their tireless work to protect these horses. They have organized tremendous public support and have spent years doing critically-important, boots-on-the-ground work as stewards and documentarians of this very special herd. Thank you sincerely to the AWHPC supporters who provided us with the resources to help fight this battle to save these amazing horses. The hard work of securing lasting protection for these unique and historic horses still lies ahead, but for now, let's celebrate this victory -- it shows that the power of the people can prevail!